It will always be up to you and you alone in regards to whether you would like to play casino games in any land based casinos you come across in any town or city you live in or may be visiting. However, one thing you may not know is whether there are any such venues nearby to where you are! If that is the case and you are in Cork in Ireland then the following guide is going to be one you should read through, for below we are going to be giving you an insight into just which casinos are available to anyone in Cork and we will also be taking a look at some of the many different casino games you can play in those venues too. However, what you may much prefer doing instead of visiting a land based casino is playing casino game online, and if that is something that you would like to do then we would encourage you to read through this guide as well! Below you are going to find many questions that online and land based casino game players do want to know the answers to and we have answered as many as them that we can fit onto the page, so have a look through is guide and then make an informed decision on her you would like to play! Cork is one of many cities based and located in Southern Ireland with a population of 119,230 and much like all other cities in Southern Ireland a great number of people tend to visit each year, and below you will find a short video presentation of Cork which may interest you if you fancy visiting. When visiting Cork you will find there are many places you can gamble in and those include lots of betting shops and betting offices and of course land based casinos too. If you do live in Cork or you are visiting Cork you will need to be over the age of 18 to be able to legally enter a casino and gamble there. Be aware that there are other forms of gambling over 18’s can partake in when in Cork and those include buying scratchcards and playing the Irish Lottery too. One thing that you will need to have on you is photo I.D. be able to gain entry into a casino in Cork and when playing at an online casino you will be required to supply some form of identification to the casino site you are playing at that has your name, age and current address printed upon it. The top and most visited land based casinos in Cork are listed below, if you are planning a trip to Cork then you are going to find plenty of different casino games are available to you at each of the following casinos, but you will need to be over the age of 18 to gain entry to any Cork casino venue, for more information on any Cork casino please visit the casinos website listed below. There are 2 casinos in and around the Cork area, and below you will find all of the contact details of the ones we think you will enjoy visiting the most in order of their popularity. Macau Sporting Club – The address and contact details of this casino are: Address: 16 Saint Patrick’s Quay, Cork, Ireland Phone: +353 21 453 0477. The Bank Casino – If you plan on visiting this casino then here is the phone number along with the address: Address: Clarkes Bridge House, Clarke’s Bridge, Cork, Ireland Phone: +353 21 425 1937. Any Cork land based casino needs to have the relevant planning permission and licenses for that venue as issued by Cork County Council. You will also find you can play at many online casinos and mobile casinos some of which are licensed by the Alderney Gambling Control Commission. Playing at a mobile or online casino in Cork will see you also being able to access and play a very large range of different casino games many of which may have designed by Playtech. 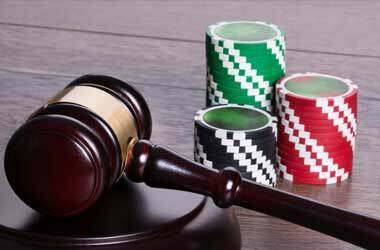 All forms of casino gambling in Cork are regulated and licensed by the Casino Regulation Committee. If you have any questions regarding any form of gambling in Cork or wish to make a complaint about any casino or gambling establishment in Cork then you will find information on how to do so on their website. This final section of our guide to Cork land based casinos and also casinos that you can access online in Cork is going to be answering a range of additional questions that you may be seeking the answers too, so please do read on. If you want to visit a land based casino in Cork you will be best advised to check the respective website of the casino you wish to visit for information on their opening times and also the range of games that you will be able to play there too. Will I get free food and drink? Free snacks are often served to customers who are playing in many land based casinos, however in regards to free drinks it will only be soft drinks and hot drinks such as tea and coffee that you are likely not to be charged for. Alcoholic drinks can be purchased at the bar in any land based casino but you will not be permitted to drink alcohol on the gaming floor. So, if you do fancy a beer to whatever then you should take a break from gambling and pay a visit to the bar. Where do I cash in my chips? If you have had a winning session playing nay of the table games in a land based casino and wish to cash in your chips and turn them into cash, you simply need to visit the cashier’s desk. When there simply hand over your chips, the cashier will count them out in front of you and then exchange them for cash. You can also redeem your slot machine payout tickets at the cashier’s desk too. Where can I play the Aliens slot machine? The Aliens slot machine has been designed and launched by NetEnt and that does of course mean that if you do wish to give the Aliens slot any amount of play time then you will have to find a casino using the NetEnt gaming platforms or their range of games. By playing the Aliens slot online you will find it comes with lots of unique bonus features and does offer you lots of chances of winning, and as the Aliens slot has a high 96.4% payout percentage you should get lots of your stakes back as winning payouts when playing it! Where would you advise I play Standard Blackjack? Standard Blackjack is one of a large variety of different Blackjack games that you are going to be able to play at Playtech software powered casinos, and this game can be played for variable stake levels and if you have never played Standard Blackjack before then read on! Standard Blackjack boasts a house edge of boasts a house edge of 0.48% however to get the house edge that low you will have to play each hand perfectly and optimally and this game has 1 deck of playing cards in play in the shoe and whenever a Dealer has a soft 17 he is going to Hit that hand. Do land based casinos offer live entertainment? One question that many players and visitors to a land based casino will be seeking the answer to is do land based casinos have live entertainment. Well, every single casino you can pay a visit to will be offering all manner of different things to their customers but not all casinos will be offering live entertainment. With that in mind We would suggest that you either take a look over the website of any casino you plan on visiting or give them a call on the phone before you set off just to make sure that the casino you are visiting does have live entertainment! Take your time before you play any casino games is our advice, for you should be actively looking for the casino games to play that offer you the best winning opportunities. For reference those will always be the casino games that have either the very highest payout percentages or the very lowest house edges, so make sure those are the casino game you look out for and play! Gael Scoil, Kilnahue, Carnew Road, Gorey, Co Wexford is where you will find a Gamblers Anonymous meeting being held if you do feel that you cannot control your gambling and live in or around the Cork area, and you can get the dates and times for that meeting and full directions to that venue from the GA website.